If you have HBO On Demand, do yourself a favor and watch a documentary that will capture your attention and melt your heart. If you click on HBO and go to “Documentaries” then “Feature Films,” you’ll find a movie called Miss You Can Do It. I’m not usually into movies about pageants, and when my husband and I sat down to watch it, I thought, “I hope this isn’t too pageant-y…or too depressing…” Usually, when we do video date night (because you know we’re not going out to the movies), I try and find something funny and light-hearted. So, for this one, I took a chance. And, yes, I bawled my eyes out–but in a good way! I highly recommend it, for parents of typical children and those with special needs. I wish that I had been more interested in special needs before I had a child with special needs. Does that sound strange? I feel like I was incredibly closed off from that world, and now I realize that I could’ve gotten involved a long time ago. 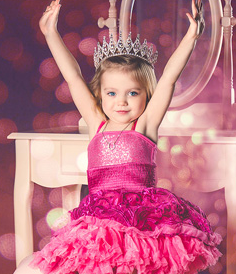 If my daughter didn’t have special needs, would I have watched that awesome pageant documentary? I can tell you the answer. I probably wouldn’t have watched any of them. I don’t think that makes me a bad person. I think we’re drawn to what we know. 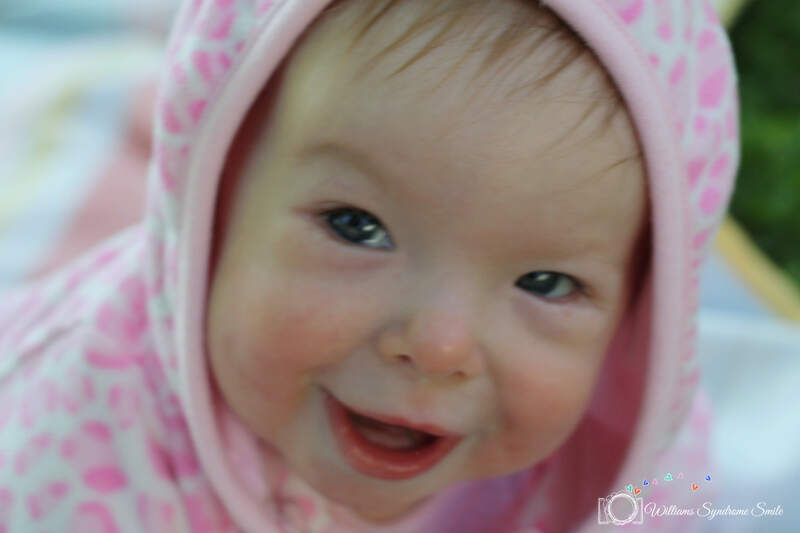 And I didn’t know ANYTHING about special needs until July 2011, when Emmy was born. In my case, I think that it would be: When you know more, you do more. I’ve stretched my boundaries because I had to. But I’m so glad that I had to because I never would’ve seen what was on the other side. Over the past few years, I’ve met a fair amount of people who have dedicated themselves to special needs work without having a child, or sister, or brother with special needs. They just did. For various reasons, or perhaps for no reason at all, they wanted to help. I am always touched by those stories. I think I’ve asked almost all of our Early Intervention therapists, “So how did you get into this?” Where did that all start? One therapist told me that, as a teenager, she was helping a friend of the family with her autistic child. I can’t tell you how much that impacted me because I thought back to what I was doing as a teenager and, while I was a good girl :), I wasn’t involved in anything meaningful on that level. I didn’t stretch much out of my comfort zone. One of my goals is to open my children up to a world beyond what they can see. There are many people out there, each with his/her own story to tell. It makes me feel good to finally open my eyes to all of those stories, not just my own. I’ve been thinking about Emmy getting married. Yes, I realize she’s only 1.5 years old. Hear me out. There is nothing quite like sitting on the couch with a beautiful newborn baby in your arms and staring at a long list of things that she may never do. My limitless world of possibilities vanished, and I found myself hoping that she would be able to just cross the street or tie her shoelaces. Early on, the topics of marriage and children were constantly on my mind. If my children don’t want to get married or have kids of their own, that is totally fine with me. But I always imaged that they would at least have the choice to do either of those things. I couldn’t get over the idea of Emmy’s choices being taken away right from birth. Williams syndrome was not in either of our families before we had Emmy. It was a totally random (1 in 10,000) occurrence. However, if Emmy has children, she has a 50% chance of passing it along. Well, last night the questions popped back up again. We rented a lovely documentary called Monica and David about two people with Down syndrome who got married. JUST BEAUTIFUL. I highly recommend renting it on Netflix. It illustrated so clearly how people with special needs want the same things as everyone else. Above all, they want to feel love and connection. That is really the basis of all human life. And when Monica and David expressed their wish to have a child, to the dismay of their family members, it was because they had so much love to give. There is an image that keeps scrolling through in my mind. The image is of Emmy playing with a baby doll and saying, “I am the mommy, and this is my baby,” as Charlotte has done countless times before. It’s the image of Emmy saying, “When will I be a mommy?” as Charlotte has asked countless times before. It’s the image of Emmy saying, “When I have a baby, you will be the grandma, right?” as Charlotte has reasoned before. And then there’s the question that I’m left with every time this image passes through my mind: What do I say when this image becomes a reality? 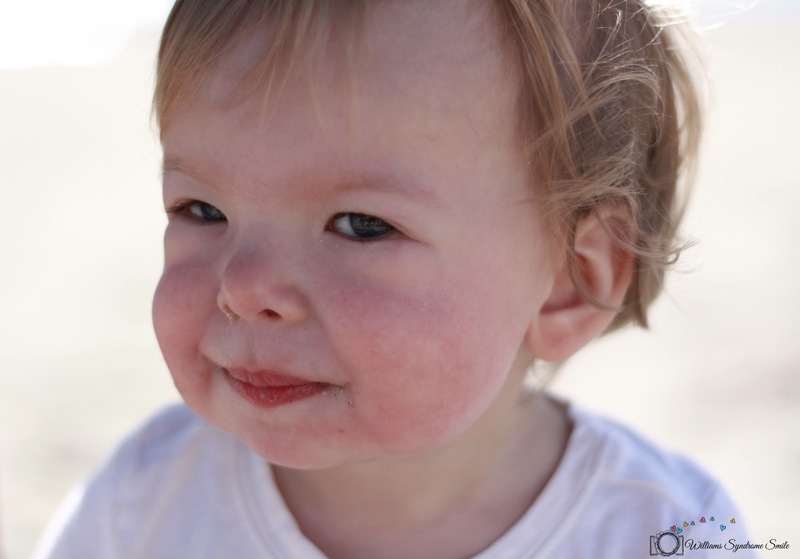 I don’t know the answer yet, but I know that I want Emmy to have all the limitless possibilities that I originally envisioned for her–before I knew about Williams syndrome. I want her to have choices, and I’m trying to figure out how to make that happen.